In the past few years we launched Pier 27 Condos Phases 1 and 2. These were a great success, and now we are pleased to announce that we are going to launch Phase 3 of this awesome lakefront development. The first two phases are architecturally impressive low-rise buildings that overlook downtown Toronto and the beauty of Lake Ontario. Phase 3 will be a new addition that will be at the foot of Yonge Street, overlooking the waterfront, and with a great view of the city centre. Cityzen takes every project very seriously, and the Pier 27 Tower is certainly no exception. The great location is not only convenient but also ideal because of the unobstructed views. The tower is going to be built at the edge of the city, and so residents will be able to enjoy awesome views, without being separated from the lake by any road or building. The building is literally right on it – so it certainly cannot get any better! As with other Cityzen projects, residents will avail of several amenities, including an amazing outdoor pool, and a Movement Haus Gym by Mark Stables. There is also a promenade that will connect residents to the Queen’s Quay and the numerous shops and restaurants available there. The area and the neighbourhood of Pier 27 Tower are another positive aspect of these condos. First of all there is everything one might wish for within close proximity. Secondly, now that the new Queen’s Quay is up and running, the whole area has been greatly revitalized. It is now a world-class street with all sorts of shops, restaurants and other facilities. The road is a multi-use one which will enable people to use diverse modes of transportation. There are car lanes as well as bike lanes which go on for about 3km along the waterfront. There are also plenty of passages for pedestrians. So you will be able to see people walking or jogging, cyclists as well as cars and TTC streetcars. There is also the Martin Goodman Trail which spans for 56km along the waterfront. Since one can make use of different modes of transportation, it is a good idea to get used to the rules of the road. Here is a helpful video which will discuss some of the main rules applicable here, as well as how to make the best use of Queen’s Quay. The Pier 27 condos have been described as a unique landmark in the area. Since they are right on the shoreline, at the foot of Yonge Street, there is no denying that this is a breathtakingly beautiful location. There is the SkyBridge spanning from one tower to another, where one can find the most impressive suites. There are all sorts of amenities, which make this truly a world-class residence. For instance, there is a health club and a spa where one can enjoy some relaxing time. There is a games room and even a private theatre. Besides the various amenities, there is also the opportunity to engage in all sorts of outdoor activities, including water sports and obviously, the downtown pleasures. The New Tower is going to be literally a celebration of Toronto’s unique harbour life. The New Tower is going to be an impressive architectural addition in this area, not only because of its scale, but also because of its unique design and architecture. And this does not only apply to its exterior, because the interior design is way too beautiful to describe in words. With spectacular suites, modern designs and lavish amenities, residents will be living an exquisitely comfortable and luxurious lifestyle in these condos. Not to mention, the finest city and waterfront views that they will be able to enjoy too! The design of this building has been entrusted to the renowned architect, Peter Clewes. There is no denying that this is an absolutely thrilling opportunity for those who are considering investing and living in this area. With an unchallenged position, spectacular views and luxurious amenities, the Pier 27 towers are literally an architectural sensation that will exceed anyone’s expectations. You too can own one of these impressive condos. What are you waiting for? Register for the Pier 27 Tower now! By REGISTER BELOW, you will have the FIRST ACCESS, buying with the lowest price*and receiving the Platinum VIP Broker Promotions, first to choose your units, long before general agents and the public opening. 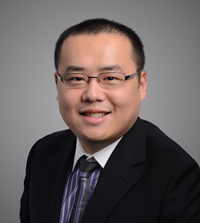 Mark Li (Sales Representative) is independent Realtor with CENTURY 21 Leading Edge Realty Inc., Brokerage in Toronto. He specialize in pre-construction homes and through his developer relationships have access to INSIDER SALES & TRUE UNIT ALLOCATION in advance of the general Realtor and the general public.